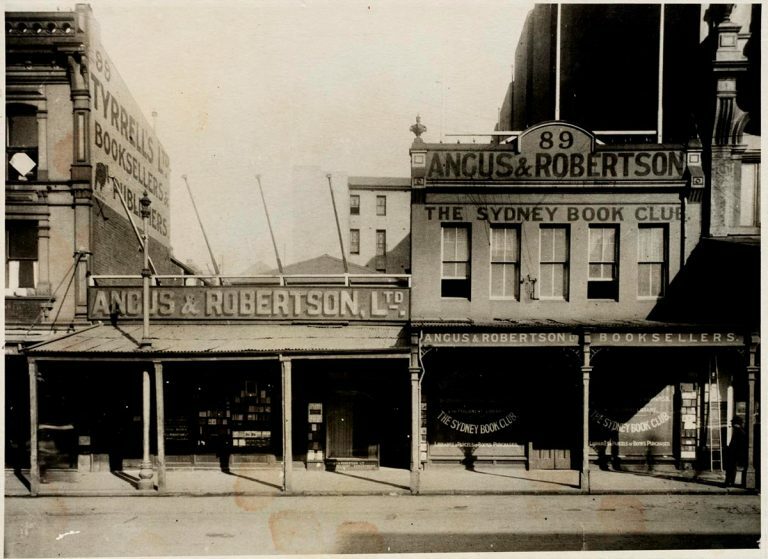 The Angus & Robertson bookshop in Sydney (1916). Ten thousand miles from his homeland, Scotsman David Mackenzie Angus paid £50 to open a small bookshop on Market Street in Sydney, Australia. Identifying a gap in the relatively undeveloped Australian market of the 1880s, Angus stocked his shelves with books sent over by a friend in Scotland. Soon after, he partnered with fellow Scot George Robertson, establishing Angus & Robertson. Their firm thrived and soon became the official bookseller to Sydney University, the Free Public Library, and the Parliamentary Library. Angus & Robertson started publishing its own books in 1888 and produced the first-ever catalog dedicated to Australian publications. Angus died in 1901. 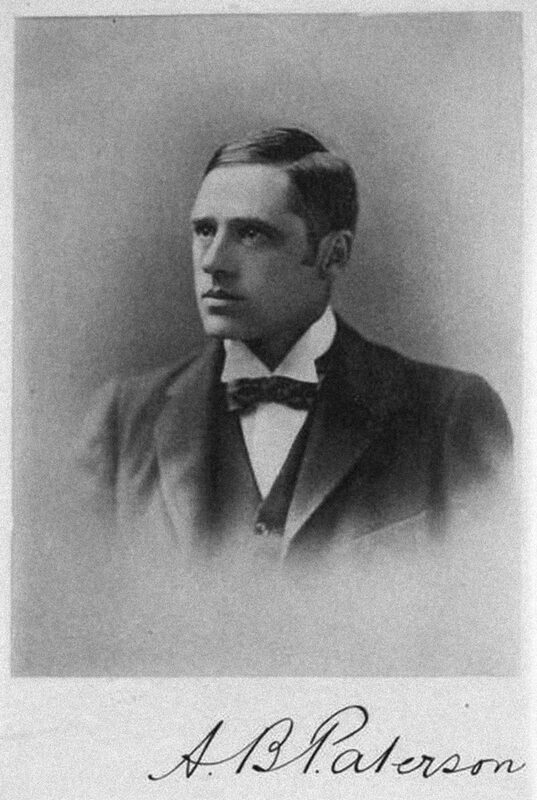 Robertson remained chairman until his death in 1933 and oversaw publication of about 600 titles—more than any other Australian publisher of the time. 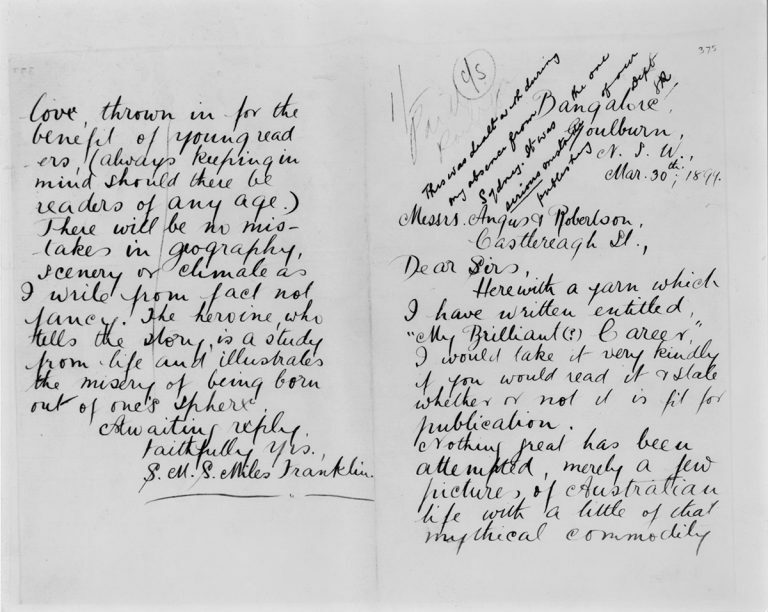 He possessed a keen eye for recognizing talent and developed warm friendships with all of his authors—in particular Henry Lawson, one of Australia’s most beloved writers. Angus & Robertson published numerous important works during the first half of the twentieth century, including the widely anticipated Australian Encyclopaedia and the Official History of Australia in the War of 1914–1918. During a period of major expansion starting in the 1950s, Angus & Robertson’s value grew fourfold, and it became Australia’s largest bookstore chain. In 1989 the Angus & Robertson publishing division merged with HarperCollins, becoming a key part of HarperCollins Australia.